My mission to engage people in creativity is finally happening! My painting classes at the Riverdale Senior Center have now begun their 3rd session!! This post is to show the incredible art from people who never painted before. And a new student who is in the early stages of Alzheimer’s has joined. Robert is a professional artist who studied at the Art Students League. He has a studio upstate New York. However, since his mental decline he has not done art for a long time. I told him the first day that he is still an artist and he can create just like Monet when his eyesight went bad. My painting classes are not about skill. I do not teach technique. 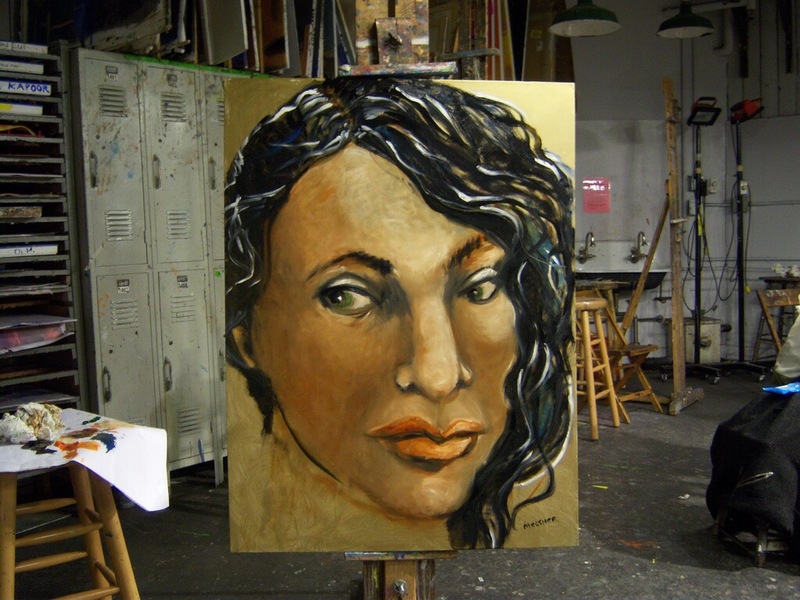 There is a very spiritual connection to art and one student, Margery, has exceptional talent. So here’s to Riverdale’s emerging artists. And please do not refer to them as seniors dabbling in art. Their work is fearless and vibrant. Totally alive and ageless! I always say we need to be givers not takers but I am aware of red flags of giving to the wrong people. I’m experiencing a phenomenon that artists are looked upon as not being serious professionals and what they do has no real benefit to the world. Artists are just a group of creative people who make paintings to decorate homes or to be collected by wealthy investment bankers. If you are an artist who is not showing at Art Basel and the hottest trend then you are invisible. I don’t need to be famous. But I want to be paid for my creative skills. Which brings me to the point of this post. I will not give away my time or knowledge for free. I am shocked at how many people pick my brain about iPad painting. Promoting my iPad painting workshops has been exhausting. I am treading a new path and there are a lot of biases to break through. So I have been giving a lot of lectures on it. In order to get people to register I have been too free on details which has given them the information to get the apps themselves and screw my workshop. I have been learning this iPad painting on my own since 2011. I consistently study all the ins and outs of every art app. This is my hard work and people want the information for free. I joined a art organization in Riverdale when I moved here last October. I went to their business meeting and realized it was a bunch of seniors who do art. And they were rude and ignored me. The fact that they were hanging their paintings in an urgent care doctor waiting room really made me run. I couldn’t associate with them because they would tear my reputation down. But they consistently nudge me to give a lecture on my iPad painting to the group. When I told them what I charge for the lecture the director told me that they don’t pay members to give lectures to the group. Here is an art group that doesn’t think their members knowledge is worth paying for. Thank God my membership is over next month. I have pitched my workshop and shown what I can do and when they ask how or what app I use I answer come to the workshop and find out. An artist works hard to learn their skills. It is not all fun and games. Artists go to college to study art. If art were easy they wouldn’t have colleges giving out MFAs. ARTISTS ARE PROFESSIONALS! I value my talent today and I demand respect. If you want to do what I do you need to pay for my knowledge. 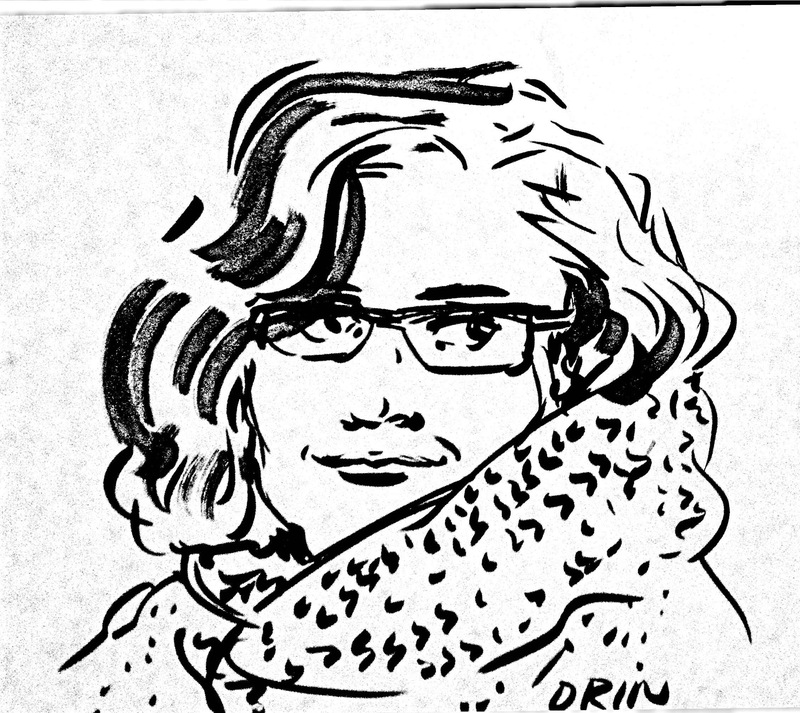 MY PORTRAIT WAS DONE BY ORRIN A SUPER ARTIST I MET IN THE SUBWAY IN NYC. I am not going to review this book as I have not read it yet. However, yesterday I listened to David Kelly’s TED Talk on Creative Confidence. Essentially he is saying that creativity is not just for artists but everyone. As children we are born with natural creative instincts. And somewhere along the line we are judged and that takes us down. When we give up creativity we lose a very important piece of ourselves. That piece is the ability to solve problems creatively. We say we can’t. David Kelly is helping those people and giving them the chance to expand their lives. My theory of coloring books being banned is not so far fetched. Coloring in the lines is not creative. Kids feel bad because they have trouble being in the lines. They are not following the rules of coloring books. Judging art is a waste of time. Only the person viewing it can say whether it appeals to them or not. Beauty is in the eye of the beholder. When we judge we kill. David Kelly says his clients are changed when they get creative. Their outlook on life is different and thy start to explore different ideas about their purpose in life. Major thinking! Again I say my mission is to get everyone engaged in creativity.